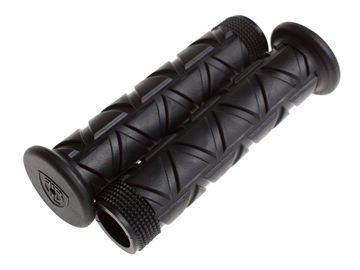 BLB Button grips were inspired by classic BMX ‘mushroom’ grips. 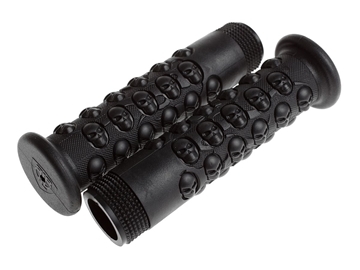 These anatomic bicycle handlebar grips are 147mm long and designed for extreme comfort and grip. 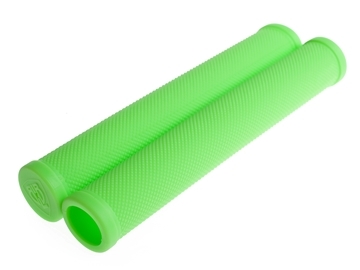 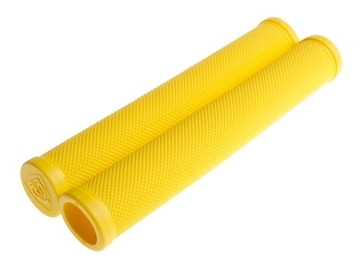 Long and flangeless track grips, in the style of Kerin racers. 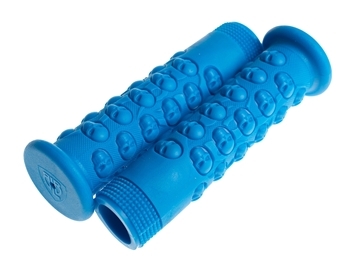 Made from soft rubber in a diamond pattern that is supremely comfortable. 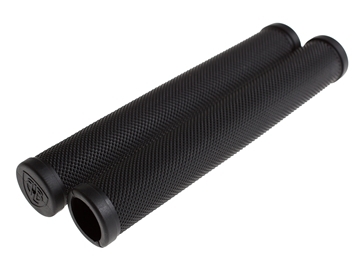 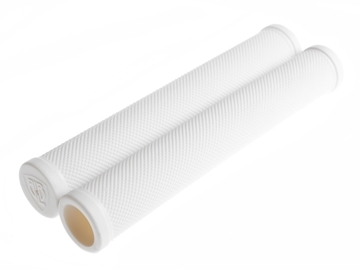 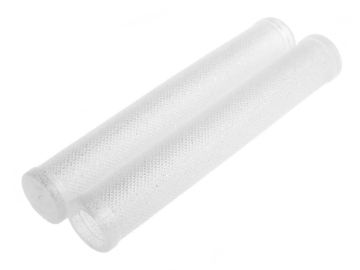 Nippy and grippy MTB/BMX style all rubber grips with small flanges that are perfectly at home on both little “cut-through-traffic” bars and super wide freestyle bars.